Read fine print money grabber. A Virtual Check-In / Check-Out Board - Finally! ***update*** The new Trophy Log feature is worth the price all by itself. This lets you keep all your hunting pics in one place and magically attaches the day’s weather to every log entry. Very cool. I see some folks on here giving this app a low rating because it isn’t free, but they knew that going in. As far as the guys in my lease are concerned...this is a great app. 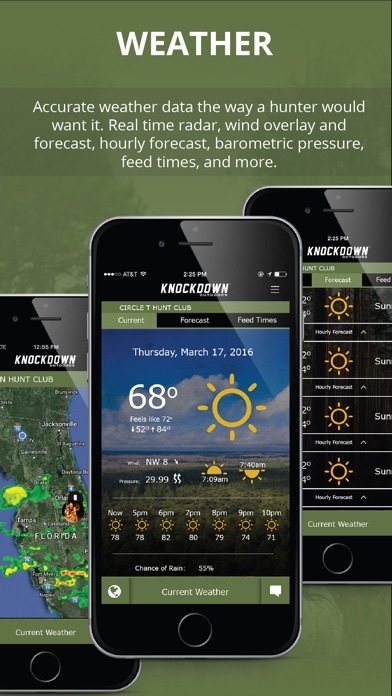 **** If you ever hunt with friends, or as part of a club, this app is a must! The real-time check-in and check-out feature is amazing. 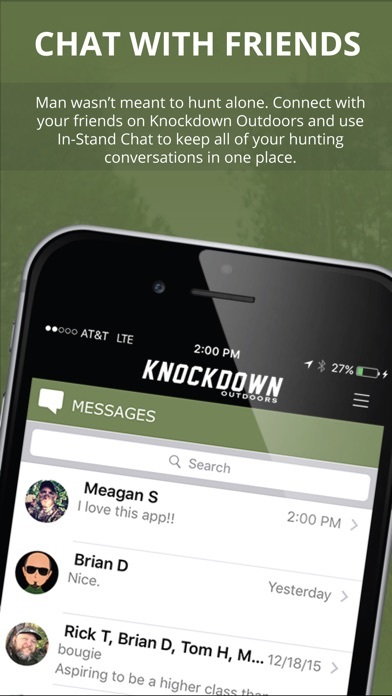 You can check-in from your tree stand , or from home before you head out to the woods. You can see where everyone else is - in real time. And, it's nearly impossible to forget to check-out. But if you do, you can check out from anywhere - because it's on your phone! If you ever hunt with your kids, it is great to know when they get to the stand safely, and when they get down safely. No more waiting till everyone gets back to camp. I'm getting all the guys on our lease to use it! 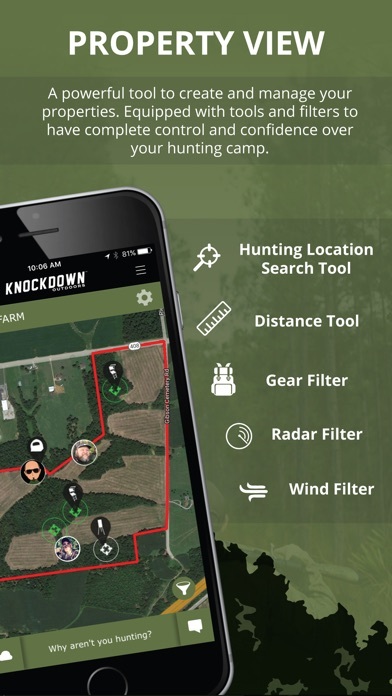 Best to use the HuntStand app which is free over this one a lot of the things this one want to charge you for are just options you already have on your phone. Seriously why would I want to pay 2.99 a month to message someone in another deer stand when I can do it free? It's called text messaging and everyone has it free with their phone plans. With all that said it is a cool idea but in app purchases means you can chose to buy thing that makes the app more functional. This app will not function shortly after install without a subscription. I downloaded to check it out and before I ever got a chance to get into the meat of the app it was asking for money just for it to work at all. 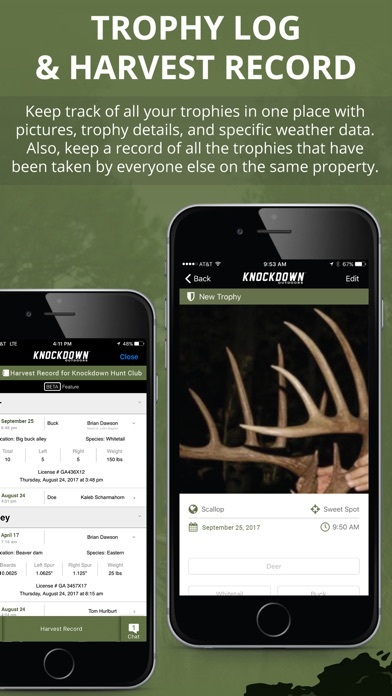 HuntStand offers most of the useful features this has as far as hunting goes but this one has features good for hunting clubs which I guess if your willing to pay thousands of dollars to be in a hunt club and extra 2.99 ain't no thing for you. Seriously, just charge upfront for the app. Well a little up front honesty (i.e. Read the fine print) would have gone a long way. Once you get the app and get all your property setup they hit for the subscription. Other than that it's a nice idea. Advertising business model would have been better idea IMHO. They do accept "ideas" which is nice. Submitted a couple we will see what their response time is. Apple doesn't make it easy to drop updates. 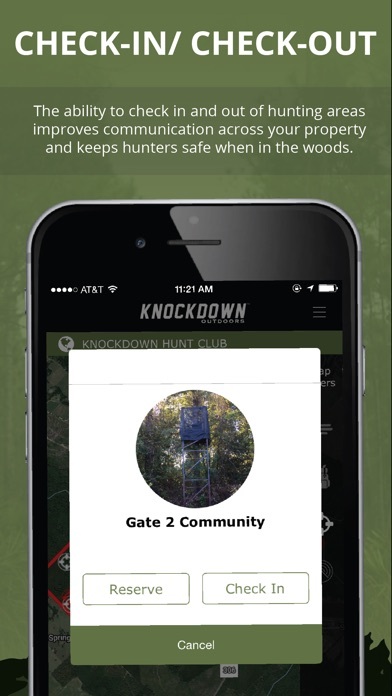 Hunting apps never seem to take hold or get the support they need from the community. The App itself is a little clunky. Front end needs some work. No crashing issues and seems to run smooth. Have invited a few friends to see my place and where I have stands and cameras. They all had issues with the invite and had to send again. Unless you want to pay $3/month or $30/year I would pass on this. Not worth it. It needs some serious work before it is more user friendly. Of course my submitted idea was before I had to pay. Last freebie they get. Ok APP but needs more options and way too expensive. Mainly customizing icon names. The app gives you a few options but, if none fit, your SOL! I personally would like to mark and name entrances and trailheads for unfamiliar members/guest. This would be a great help, but with the current version, it's not possible and unfortunately makes the app useless for me. Man, this app works great! If your in the market for a seamless, no frills hunting app then look no further! No bucks? Get Buck Rogers! !